The following will be this Saturday Schedule. PLEASE NOTE SCHEDULE CHANGE! 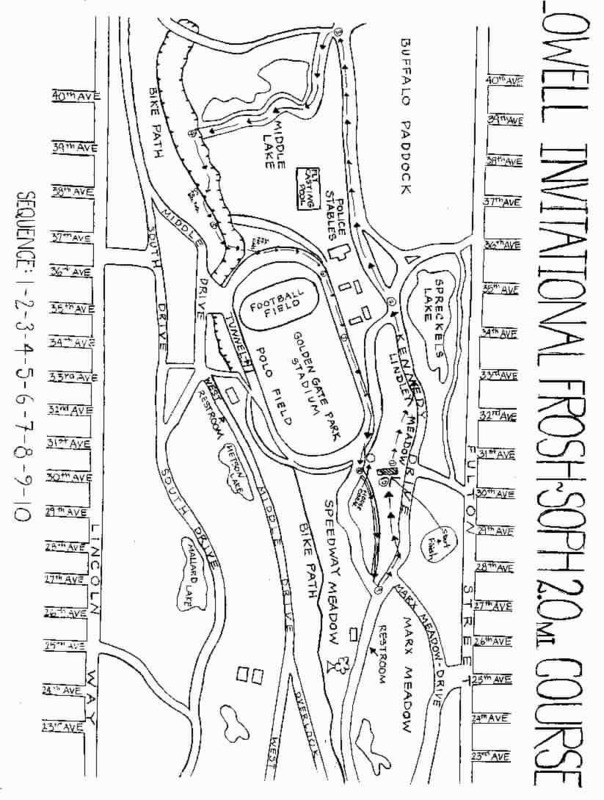 The 32nd annual San Francisco/AAA Cross Country Invitational Meet will be held on Saturday, September 18, 2004 in Lindley and Speedway Meadows, in Golden Gate Park. This will mark the 26th consecutive year Lowell High School has sponsored this meet. New for 2004: We are going to try to go to computer results. Every school that plans to attend must submit a roster by e-mailing a Microsoft Excel document as an attachment to an e-mail. 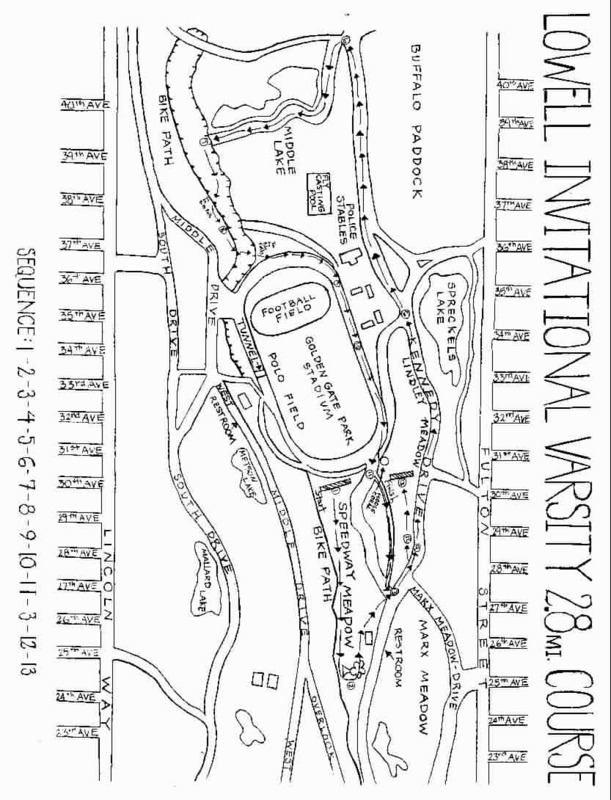 Please include every possible runner that may be coming to the meet. You do not need to declare which race an athlete will run before your athletes begin the race. Deadline to submit your roster will be 9:00 PM Thursday, September 9. Entry fees will be $8.00 per individual, $40.00 per team with a $120.00 maximum for each school (still one of the lowest fees in Northern California). Checks should be made out to "Lowell High School". All entry fees must be received by October 11th. After this date, your school will be charge a late fee of $25. If you have questions, please e-mail me at coachaleong@hotmail.com, or leave a message at 415-759-2730, extension 3853.